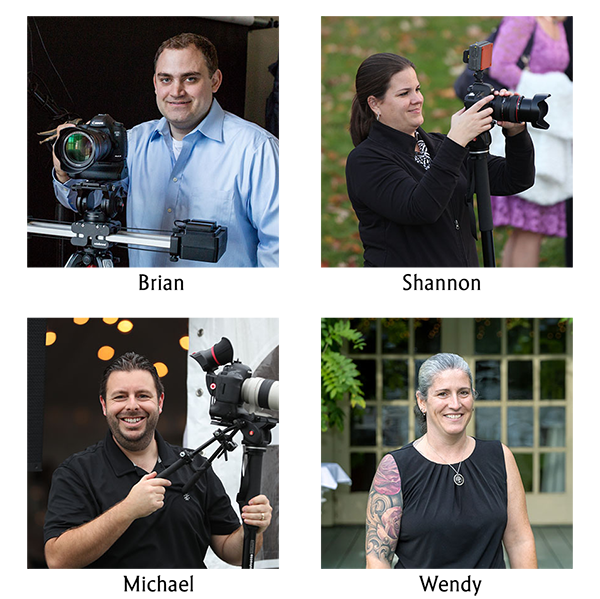 ​HALECHANNEL FILMS was formed in 2012 and we've quickly progressed into one of the area's most recommended videography companies. Our team works together with clients to plan, film and tastefully edit wedding footage to produce high-quality cinematic films with an emphasis on storytelling. We have worked at nearly every wedding venue in western MA and many more in CT, RI and NY. Last year alone we were at over 65 weddings! ​Dates are typically booked 1+years in advance and it's easy to check your date availability by sending us a quick message. Brian meets with brides nearly every day at his studio in downtown Chicopee. Message us to set something up!